Home » Tickets on Sale for Parent Social, October 19th! » News » Tickets on Sale for Parent Social, October 19th! Tickets on Sale for Parent Social, October 19th! Join your Philly Blast family on Friday, October 19 from 6:00-8:00pm at 118 North in Wayne to kick off a new season and support our partnership with Harlem Lacrosse. Harlem Lacrosse is a school-based non-profit organization that provides academic support, leadership training and more to students in high poverty areas. Philly Blast Co-Owner/Director, Josie Ferri, is on the Harlem Lacrosse Philadelphia Advisory Board and over the last year, has been involved through gear and equipment donations as well as coaching at practices. This year, Blast will be partnering with Harlem Lacrosse further to provide more year-round training opportunities for their players with Blast at no cost. Admission tickets are $30 until October 15th, $35 until October 18th and $40 CASH ONLY at the door. 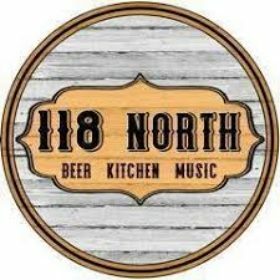 One ticket includes 2 drinks, light bar fare and access to the live music show (Newspaper Taxis/Beatles tribute band) at 118 North later that night.